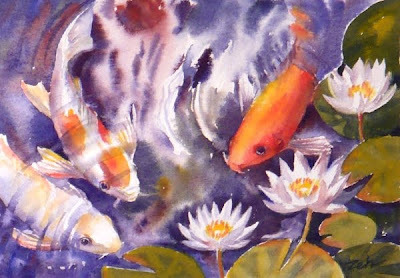 Here is a third painting of koi with white lilies this time. I like the swirling effects of the water in this one and the sunlight reflecting on the surface. The fresh spontaneity of watercolors is very evident in this piece.